Campbell Glass and Mirror provides an extremely broad range of products and services in the commercial glass and glazing field. You can count on their established reputation, and our commitment to customer service to ensure that your project is completed accurately and on time. 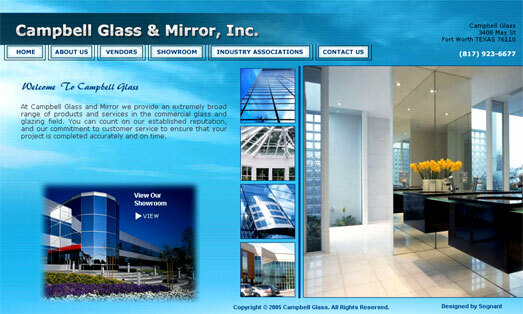 Segnant created a simple website for Campbell Glass and Mirror allowing them to showcase their work and associations.